Brahmanda Guruji, Shri Narendra Babu Sharmaji just briefed us on Rudra Abhishekam. I have collected more information online, which is shared below for all your benefit. 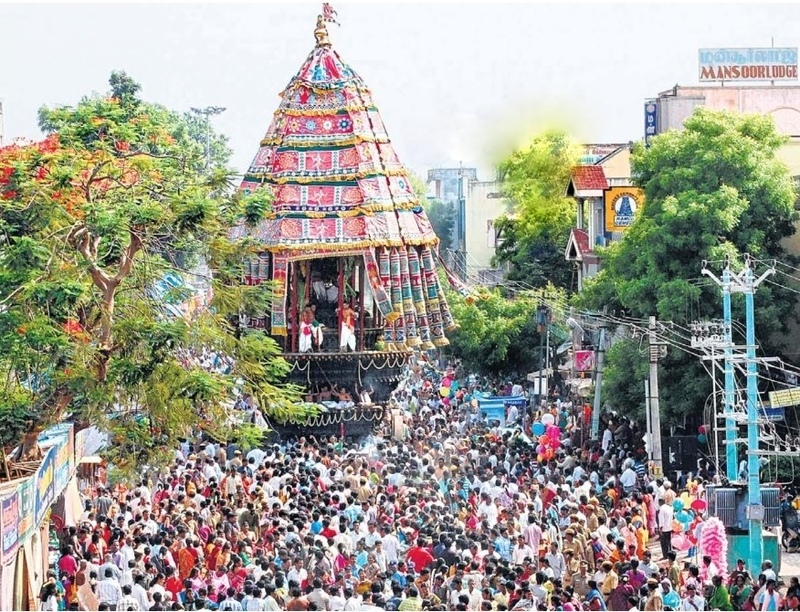 "Abhishekam" is religious bathing, literally meaning "sprinkling". 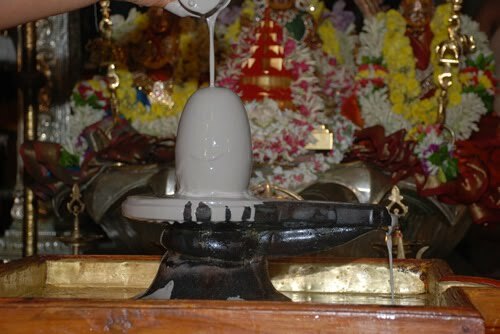 "Abhishekam" forms an important purification ritual in "Pooja" offerings. 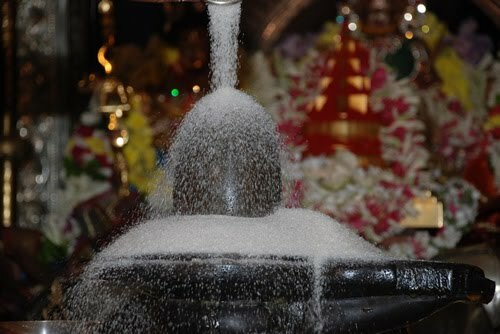 In "Siva Pujan" many sacred materials are used in "Abhishekam" as per the code of initiation by the Acharya. During the abishekam, devotee is able to see the murti in many different forms and it may also be a way of washing of one’s sins. As Rudra is a very fierce form of Shiva, abishekam may have significance in cooling of or pleasing of the God. 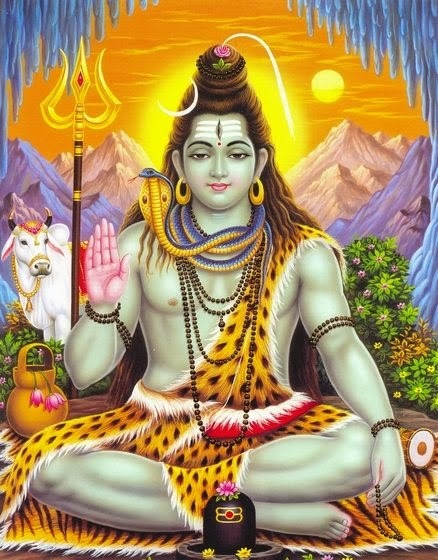 The Sri Rudram determine the 346 desires of the human beings that you should attain this to have a peaceful life and should worship Shiva Rudra Abhishekam in order to fulfill it. 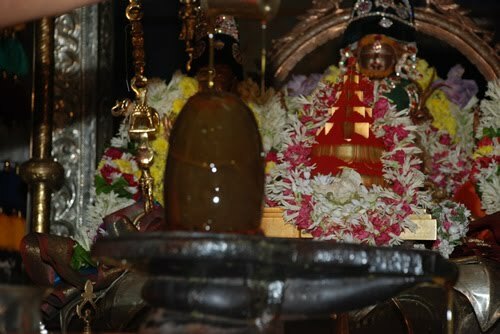 The astrology scriptures recommended that if you want to have a peaceful life, progeny or progress in your career, health or wealth Shiva Rudra Abhishekam is the ideal one. 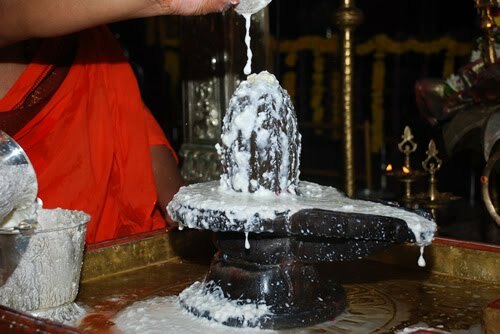 Any monday, on Pradosh tithi, all shivratri and Mahashivratri, whole shravan month are very auspicious to do this abhisheka, or else on any day this can be done, in North you might have seen all devotee when go to shiva temple they pour water on Shiva and in this way they get punya. Incurable diseases are cured by Abhisheka. Abhisheka bestows health, wealth, prosperity, progeny, etc. Abhisheka on Monday is most auspicious. When Lord Vishnu incarnated as Sri Rama, he established Siva Linga at Rameshwaram before crossing the sea and performed Rudra abhishek to express his devotion to Lord Siva. Not all are performed as mentioned above, it all depends on the purohit who performs it. Based on his learning's, he may do all or he may perform few from the above list or he may add few to the list. Below are few snapshots of Rudra Abhisheka. It is such a wonderful sight for us to watch. Ekadasa Rudrabhishekam Pooja: This is a more elaborate Pooja of Lord Shiva. Shiva has eleven forms of Rudra. In this Pooja all the 11 Rudras are worshiped. After the sthapana avahana etc., Laghunyasam is recited. Then Rudra Trishati is recited. 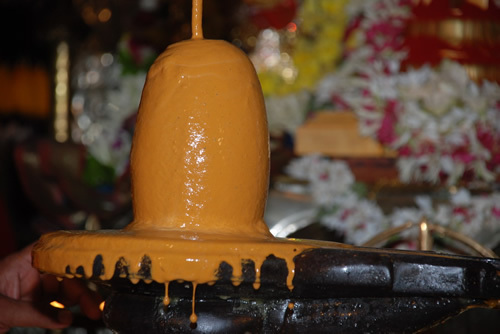 Abhishekam is done to each of the 11 Rudras with all the 11 dravyas prescribed. Their 11 consorts are also worshiped . This pooja is performed by 4 pundits and Rudram is recited total 11 times - i.e. one recital for each of the 11 Rudras. It will be done in your name and with your sankalpa i.e. - The specific purpose for which you are getting the pooja performed. Only Pooja is performed and Homa ie fire oblations are not done. Ekadasa Rudrabhishekam Homa: This is a major Homa of Lord Shiva. Shiva has eleven forms of Rudra. In this Homa all the 11 Rudras are worshiped. After the sthapana avahana etc., Mahanyasam is recited. Then Rudra Trishati is recited. This homa is performed by 11 pundits and each pundit recites Sri Rudram 11 times - i.e. total 121 times Rudrajapa. 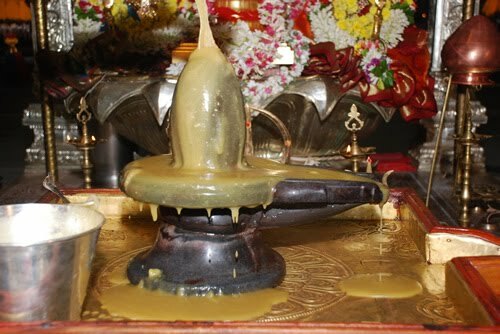 Abhishekam is done to each of the 11 Rudras with all the 11 dravyas prescribed. Their 11 consorts are also worshiped. After the pooja Homa is performed with the prescribed ingredients and 1/10 the number of japas done in the pooja are repeated. It ends with purnahuti and shanti paath. It is an excellent Homa for all round shanti and success in all undertakings. It will be done in your name and with your sankalpa, i.e., the specific purpose for which you are getting the pooja performed. This Homa will be performed exclusively for you. Maha Rudram Yajna: This is a once in a lifetime yajna to seek the blessings of Lord Shiva and an excellent remedy for all doshas and for all round success in all areas of life. All other rituals are same as in the above Ekadasa Rudra Homam but in this Yagya 121 pundits recite the Rudram 11 times each in one day - i.e., total 1331 recitals of Sri Rudram. Alternately, instead of one day it is also performed by 33 pundits for 4 days to complete the total 1331 Rudra japas. After that Homa is performed with the prescribed ingredients and 1/10 the number of japas done in the pooja are repeated while performing the Homa - i.e., 133 more Rudra japas. Normally apart from the 121 reciting pundits 10 more extra pundits are included in the homa to look after the continuous process of abhishekam and passing the materials plus in case a pundit takes a break to drink water etc as it a very long Yagya.One must be very lucky indeed to get this Yagya performed as it is said that Lord Shiva and His consort Mother Annapoorna bless the performer with all the 8 types of wealth. Small Request From My Side: I just wanted to tell all devotees that these days several offer these type of poojas online and many websites claim that they will do abhisheka in your name/family and send prasadams to your home. My suggestion is Please DO NOT go for this, it is not possible to get full benefits when you perform it online. When you yourself do abhisheka, pandits recite mantra then due to vibration and chemical changes taking place in you, you get benefited to full extent. 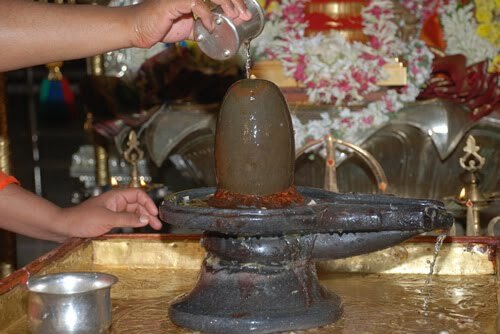 So choose any good pandit who can perform Rudra Ahishekam well and you can do it at temple or at home but at home you need to care all material which comes after touching Shiva so better to do it in temple.